How I took control of my anxiety. 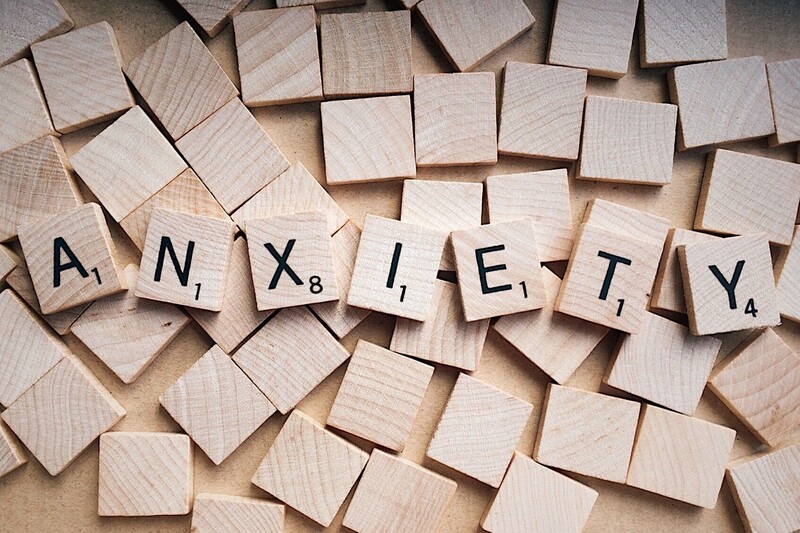 Anxiety is an insidious, sneaky, mischievous disorder that is hard to see. Much like insomnia or depression, it feels somewhat relatable, so many people don’t think it’s that big of a deal. How very condescending of you, to relate my actual diagnosed disorder that causes me daily suffering and most of my brain power to dwell on, to that one time you couldn’t sleep, were sad, or felt a bit anxious. I was diagnosed with Generalized Anxiety Disorder when I was 19, and had diagnosed (and sometimes medicated) insomnia for many years prior to that. I did not take anti-anxiety medication, and for a long time, was using counting, breathing, and some meditation techniques to help me control it. The anxiety fed into the insomnia, and I would get stuck on a loop in my head, unable to sleep. It got worse over the years, and I counted more, breathed more, slept less. By 30, the anxiety had grown to the point where every single day I was anxious about multiple “what would I do if the bridge collapses/a gunman appears/a bomb explodes?” My life was made up of worst case scenarios. I would get very anxious inside, a knot in my stomach, heart beating faster, brain going a mile a minute, until I mentally decided how I would react to any given situation, before I could start to relax. This was my normal. Every bit of turbulence on a flight convinced me of my impending death, walking up a long flight of stairs made me question what would happen if I slipped and fell down them, and I was constantly trying to calculate how far from a bridge/train platform/plane I could fall and still live. Hours per day of worst case scenarios, and I didn’t even realize how much I was really effected. It happened over time, from being a little anxious and thinking some about different possibilities, before slowly growing in my mind to these horrific events that I had to figure out how I would react to. It grew over time, and I have always tried to be very aware of my emotions so that if I were feeling erratic or anxious, I could monitor myself and try to talk myself off the ledge. Also at 30, I finally started my own business. I’m a writer and editor, a blogger, a ghostwriter, a book editor, a social media manager, and more. I was working full time in my day job, a sales career of 10 years, and building my business on the side. It was stressful, but I was surprisingly not super anxious about it. Being a writer and editor relies on my skills, specifically on skills I am extremely confident in, and I have always been a hard worker. I was working 80–90 hours a week, working every night after work until bedtime, and working on the weekends, to get my writing assignments done for clients. I was making money and was able to go down to part time at my day job, which allowed me more time to build my business, and I plan to go full time at home soon. The writing didn’t make me anxious, but the idea of leaving a perfectly good job and career and steady paycheck, of course there was some anxiety there. But for some reason, having new clients and being so extremely busy all the time was not triggering overwhelming anxiety. There was a bit of a cloud over my when I thought about working from home full time, but mostly I was excited. It’s funny, little every day things caused unending anxiety and tight stomach muscles, clenched fists, and even an occasional migraine, but this huge, life-altering decision felt easy. Even though I wasn’t specifically anxious about entrepreneurship, my heavy, daily anxiety about everything and anything continued to weigh on me. In a big admission, I decided to ask for help. I’m incredibly lucky that my husband supports my choices, tries to understand my anxiety, and has often taken a primary role in talking me down. I spoke to my doctor and only 6 weeks ago, started my first ever low-dose anti-anxiety medication. Honestly, even the thought of taking the meds made me anxious and kept me up at night. They said it would take about 4 weeks to fully kick in, and I spent the first 2 weeks battling a light dizziness that lasted all day. I almost quit, I didn’t think it was working. If anything, it was distracting me from working at the level I should be, with how busy I was. Week 3, I felt a difference. The dizziness faded, and almost without me noticing, I started to mentally gnaw on things less. About a week later, I had a sudden realization that I hadn’t once thought about dying that day. Sounds simple, maybe, but I haven’t gone a day without thinking about potentially deadly scenarios ever in my memory. It’s been a significant weight off of my shoulders, my chest, and my sleeping habits. I’m sleeping better than ever, I am more focused and less distracted, and I am finally able to live without constantly thinking about dying. It’s not erased, the anxiety still exists, but it’s muffled now, and I can live my life without constantly dwelling on it. I’m an entrepreneur now, with everything that entails. Marketing myself, new client prospecting, proposals, writing, editing, project and time management, being at home with my cat, managing myself, and more. I love it. There will always be some anxiety, but I know deep inside myself that this is what I should be doing. And I refuse to let anxiety rule my life or keep me from my dreams.